The musician released a statement after connections to Gavin McInnes and his Proud Boys organization came to light. Death From Above's Jesse F. Keeler has denied accusations that he has connections to the alt-right following a blog post highlighting his relationship with right-wing figure Gavin McInnes, the founder of the Proud Boys, an online white supremacist organization whose motto is "West Is Best." 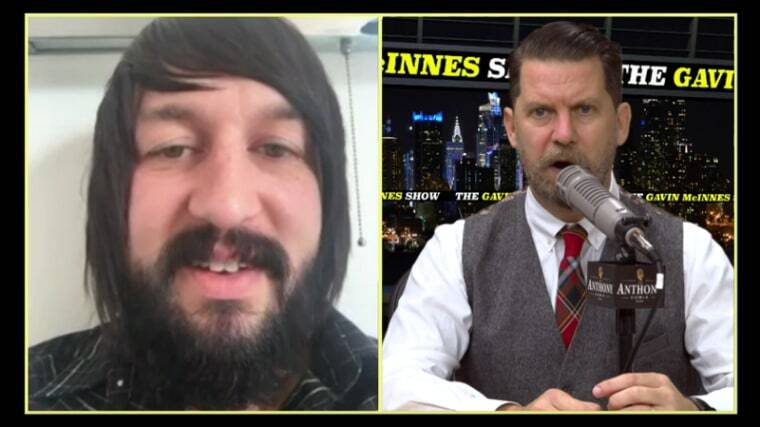 Kurt Schwitterz's October 26 post points out that the Canadian musician made multiple appearances on McInnes's podcast throughout 2016. His first appearance on The Gavin McInnes Podcast saw him talk about the terrorist attack in Paris in which many people were killed at an Eagles of Death Metal gig at the Bataclan venue. Keeler, whose band released new album Outrage! Is Now in September and is also a member of MSTRKRFT, subsequently appeared on the podcast to discuss guns and, on April 21 last year, talked about "how Britain is losing it's identity." The blog post also mentions the fact that Keeler spent election night with McInnes and that in February 2016 McInnes described Keeler as a member of his Proud Boy organization on their website. This post was removed on October 17 this year. In an October 27 Facebook statement published in response to Scwitterz's blog post, Keeler said the allegation that he was a Proud Boy is "completely false." He explained that he first met McInnes in 2003, after he wrote about Death From Above for Vice, the magazine that he co-founded. Death From Above released music via Vice's record label around the same time. On Facebook Keeler wrote that, despite watching people "distance themselves" from McInnes over the years, he "gave him the benefit of the doubt." He suggested "a morbid curiosity" led him to guest on the podcast and attend the election night party. Keeler went on to state that he "absolutely do[es] not agree" with McInnes's "form of radical politics" and ended the post by apologizing to his friends and family, asking for the same benefit of doubt that he gave to McInnes. His full statement can be seen below. Death From Above is due to tour with At The Drive-In in early 2018. The FADER has reached out to reps for both bands for further comment.